Join us TODAY at Battleground Games & Hobbies in Abington, MA for your chance to earn a 2-round Bye to Grand Prix Las Vegas! Prizes will be paid to the top finishers in Store Credit usable in store or online! THIS SUNDAY – Join us for Our Standard Pre-PTQ for Pro Tour Milwaukee! Join us THIS SUNDAY for our second Pre-PTQ to qualify one lucky winner for the up-coming Regional PTQ for Pro Tour Milwaukee. This time, the format is Standard at our Abington location. We look forward to seeing you there! 6 Booster Packs per person will be entered into the prize pool. These packs will be awarded to the top 8 finishers. Additional prizes may be awarded based on turnout. 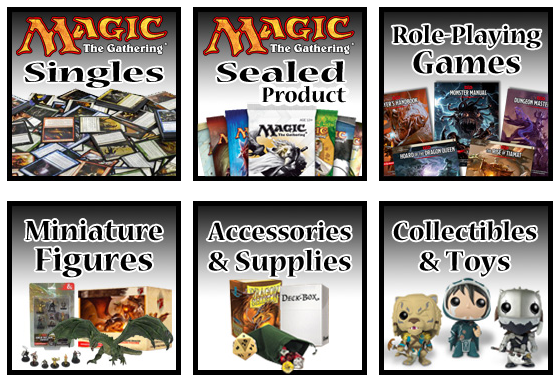 MTG ‘Dragons of Tarkir’ Fat Pack Challenge – THIS Friday! Join us! The highly anticipated Fat Pack Challenge is back for Dragon’s of Tarkir! Dragons of Tarkir (DTK) will be released on Friday, March 27th and we will have a full line-up of events for you to crack packs, build decks and play Magic at both of our stores! The weekend will kick off with our flagship Sealed Deck-style event, but with a Fat Pack! The Battleground Games & Hobbies Dragons of Tarkir Fat Pack Challenge is taking place THIS coming Friday night at both locations (run as our FNM). These are the ultimate sealed events – where you open packs, build a deck and play with just the contents of a Dragons of Tarkir Fat Pack! THIS SUNDAY! Join us for our first of two Pre-PTQ’s leading up to Pro Tour Milwaukee! We look forward to seeing you there. One Week Away – Modern Pre-PTQ for Pro Tour Milwaukee! Just one week away! Join us for our first of two Pre-PTQ’s leading up to Pro Tour Milwaukee! We look forward to seeing you there. Battleground Games & Hobbies is proud to announce the dates for our up-coming round of Preliminary Pro Tour Qualifiers! This time, we’re going to mix up the formats a bit offering a Modern and a Standard event. Each event qualifies the winner to play in the invitation-only Regional Qualifier held at a later date. Additional prizes awarded as well. Check out the details below! We look forward to seeing you there.